On this site, I like "BUY & SUPPORT LOCAL," cause of my days of living in Vermont. So I've been asked to recommend some St.Lucian hotels for Carnival. I have picked 7 LOCALLY-OWNED hotels and a villa rental company, that I am familiar with. I see no need to tell you about foreign hotels when our locally owned hotels are affordable, some even offer activities for guests, restaurants and bars. Probably you can ask about a Caricom rate. 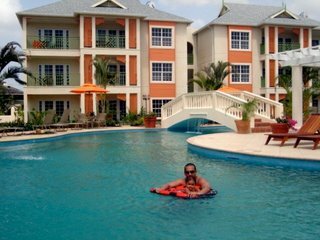 All those hotels are located in the most touristy area of St.Lucia, Gros Islet, particularly in an area called Rodney Bay. The hotels are all in the north of the island. It is a 15 minute car drive from the capital of Castries, where carnival bands parade the streets. If you land in the smaller regional airport, George F.L Charles (Vigie), expect a 15 minute drive to any of the hotels, I have recommended. If you land in Hewannora International Airport, in the South of island, in Vieux Fort, expect an hour drive to Gros Islet. I recommend visitors to stay any where between Castries and Gros Islet. Since I am from Gros Islet, it is my first suggestion, especially for you to stay anywhere near to Rodney Bay. 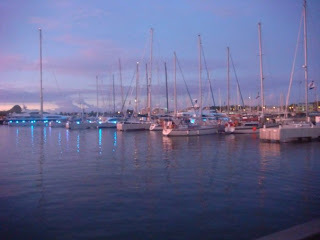 Rodney Bay has a mall, restaurants, bars, ice cream and coffee shops, banks, hotels and beaches. All within 15 minutes walking distance. 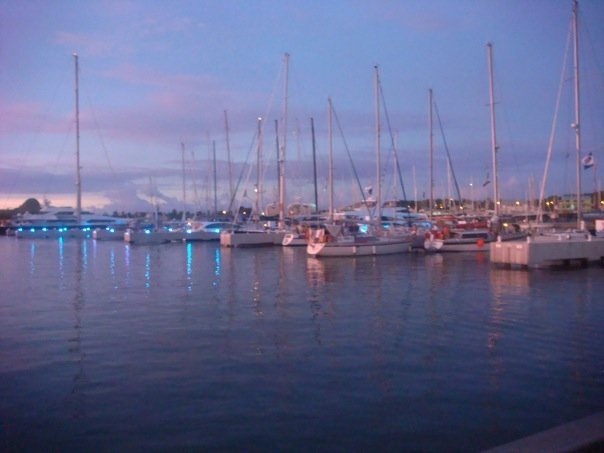 Rodney Bay is the heart of our tourist areas. 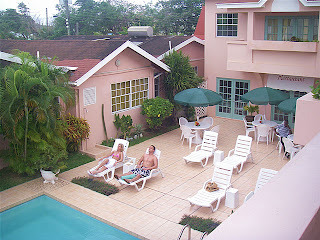 I'm also very proud to say LOCAL HOTELS are by far more UP-SCALE than local guest houses in Trinidad. So you are able to spend the same amount of money on accommodations. Yet, you do not have to spend the kind of money that is necessary to stay in a decent hotel, like in Trinidad. 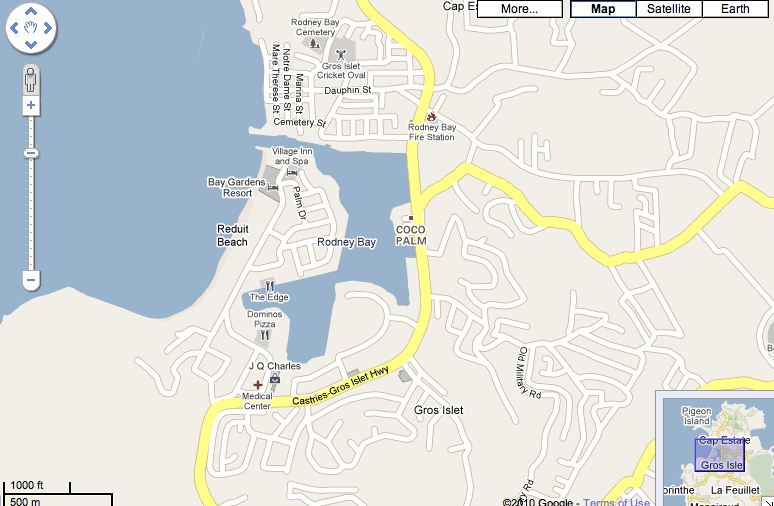 *Please note, on the map where it says Coco Palm is actually Palm Haven Hotel. I will update this map by tomorrow, pinpointing each hotel. 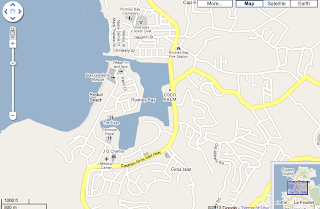 Areas seen on this map along the Castries-Gros Islet Hgwy are no more than 5 minutes drive, unless of traffic. I recommend BAY GARDENS HOTELS. It is locally owned and I frequent the Bay Gardens Beach Resort, every time I am at home. I take my daughter to the pool, friends, my brother and I go for Sunday brunch and cocktails. So if you choose any of their 3 properties, I can ask that you be taken care of. Bay Gardens Hotels has 3 different hotels, 3 different prices ranges too. ... And like Sandals, you can stay at one ... play at 3. Bay Gardens INN and HOTEL are within a two minutes walk of each other. They are located near a mall, 2-3 minutes away. And they are a 10-15 minute walk from the BEACH RESORT. I am certain there is transport among them. 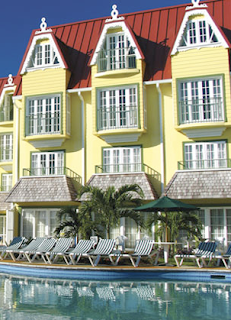 The BEACH RESORT is located on one of St.Lucia's best beaches, Reduit Beach (The Ramp). It has a SPA. In the heart of Rodney Bay which is a very touristy area with restaurants, hotels, shopping, coffee and ice cream shops, etc. Basically nightlife. When you click on the websites of each, they will tell you exactly what's available. 2. Tuxedo Villas is located opposite the entrance of the most popular beach, Reduit Beach (The Ramp). The rooms are self contained and it feels like staying in a home. I am familiar with that hotel, 'cause I have aunts who occasionally stay here. ... And my family and I, have all hung out there. Perfect for a group of friends who may want their own space/room, more than willing to split the cost. 3. Palm Haven Hotel is located opposite The Rodney Bay Marina. A five minute drive from the Rodney Bay entrance. 4. Coco Resorts: Coco Palm & Coco Creole. I have briefly been on the compound of this hotel for a fashion show and picking up tickets. It does look nice in the lobby, etc. I have friends who frequent the Ti Bananne Bar. ... And some talk about a wonderful Sunday local brunch. Opposite this hotel is one of my favorite bars, Delirius. More expensive than my ordinary and usual bars but it has great mix of people, nice food and cocktails. 5. 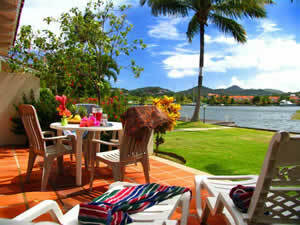 Tropical Villas - if you're in the market for a villa rental. My foreign family and in-laws have stayed in their villas. I can happily ask that you be taken care of here too. If you do book, like "Invisiblee" did yesterday, I will make every effort to assist you. Since you possibly will be a visitor to my island, a guest to our shores ... it will be more than a pleasure to help you with any questions you may have. Just email me, TheSweet7@gmail.com. You've got me truly excited! Remember too, if you're deciding on St.Lucia .. we've got beaches too. ... And lots, and lots of rum! LOL! Here is one of my favorite Toronto-Lime Carnival 360 videos from St.Lucia Carnival 2008. Playhouse gives you a slight intro to Reduit Beach too. ... And I'm in it. SHY! LMAO. UPDATED: I opened my S7 email box and found this "Not Just for HoneyMooners: Everyone can find adventure in St.Lucia." Thanks Meli. nice post, i love the idea of endorsing anything and everything local. did u also considered auberge seraphine? I only post hotels that I am familiar with ... though I have eaten at Auberge. Anyone staying there will need a car to move around.